Ring shown contains a square cushion cut Fancy Yellow diamond weighing 0.40ct set in 18K Yellow Gold, with two cushion shape side diamonds weighing 0.31ct set in 18K White Gold.Total diamond carat weight: 0.71ct. 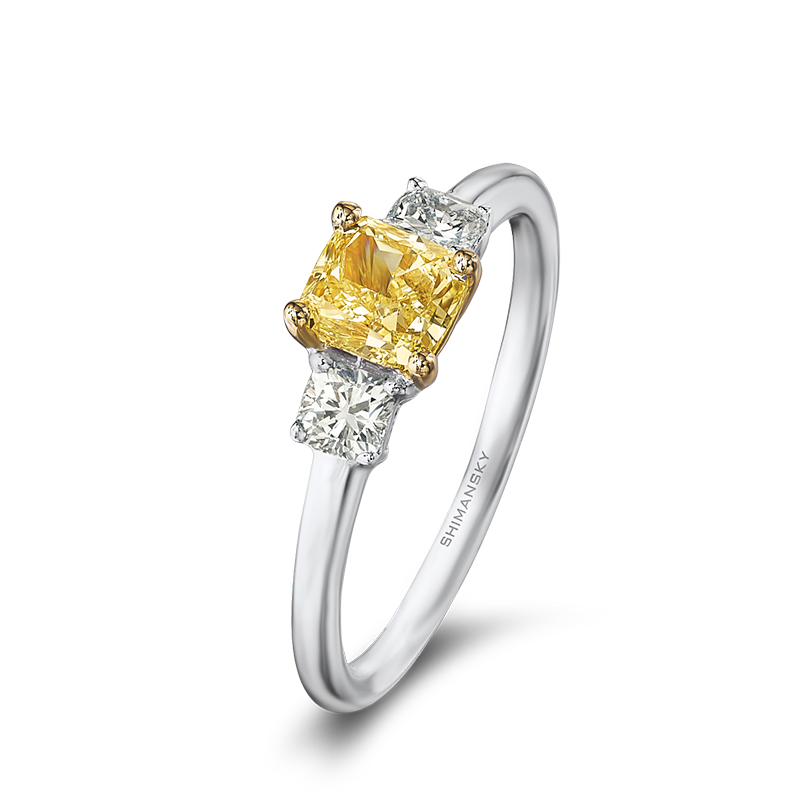 This Fancy Yellow three stone diamond ring can be manufactured in any finger size. 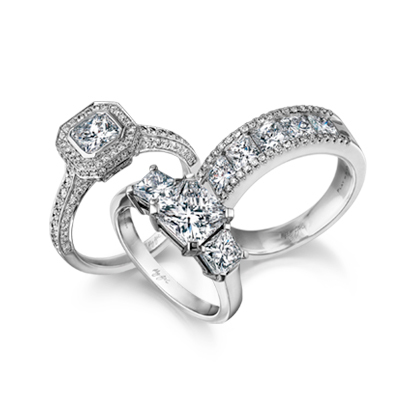 Available in Platinum, 18K White, Yellow or Rose Gold.